Good value. Practical load area and rear seats. Easy to drive. Good level of standard kit. Engine range isn't great. Does nothing outstanding. Best safety gear is optional. 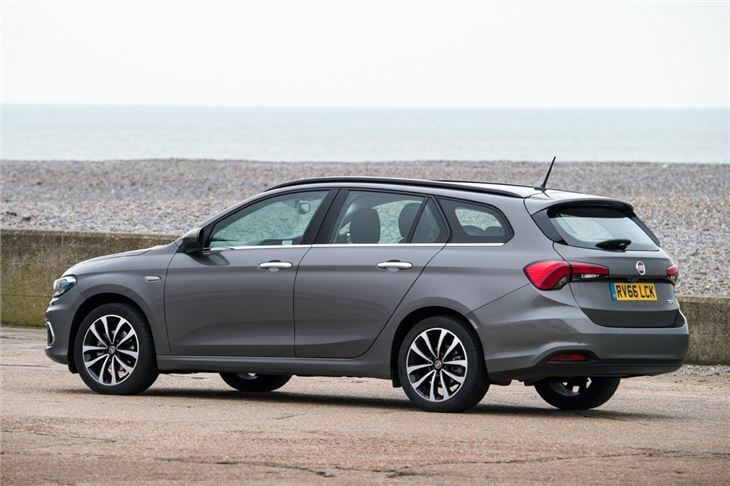 If you want a spacious, no frills family car, the Fiat Tipo Station Wagon is more than up to the task. It has a sensibly designed load area with plenty of space for garden centre trips, prams or muddy dogs, plus it’s durably made and comes well equipped. It’s even reasonably priced, but it would be easier to recommend as a new buy if it were cheaper.. The load area provides an extra 110 litres of capacity over the hatchback, at 550 litres. In real world terms, what you get is a low, flat load deck with no lip and a wide tailgate opening. 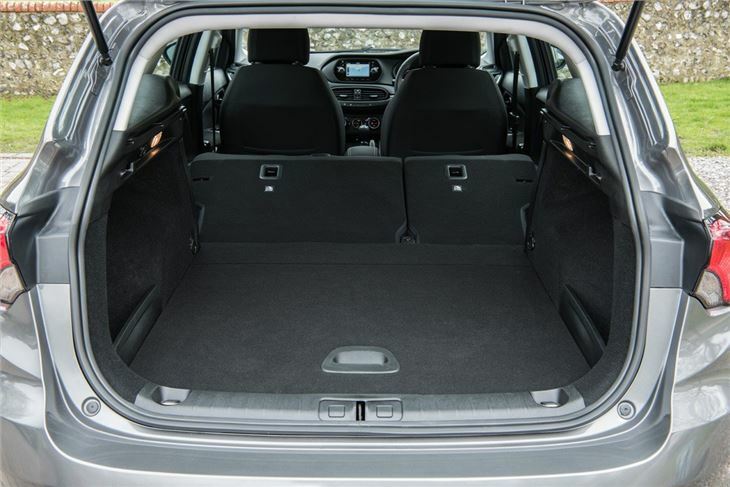 There’s plenty of space for things like buggies and baggage, but if more is needed then the rear seat backs fold flat. The back row of seats is spacious enough for adults to sit in a reasonable amount of comfort and access is good but, while practical, the cabin is drably styled and feels quite dark and dull. It feels pretty well made though, so should stand up to kicking children and spilled drinks. 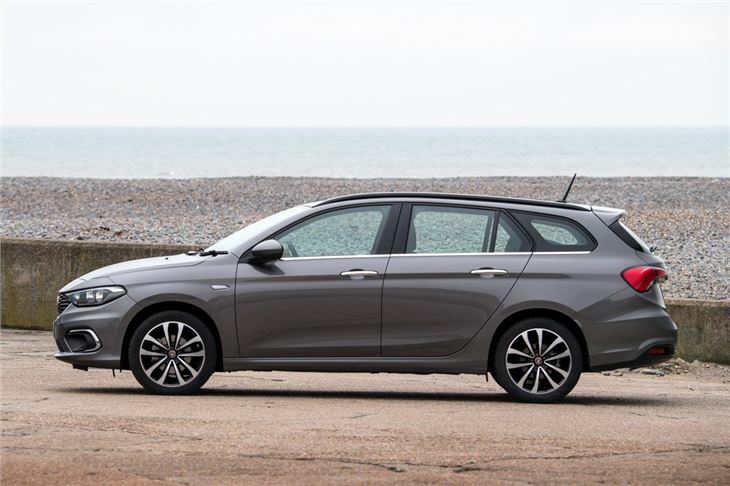 The Tipo Station Wagon is unremarkable to drive, but the controls are nicely weighted so no real effort is required to get down the road in comfort. The handling is adequate and the ride quality is okay, but there is some body roll through bends. If you want fun driving dynamics, go for a Ford Focus Estate - it's a lot more enjoyable. 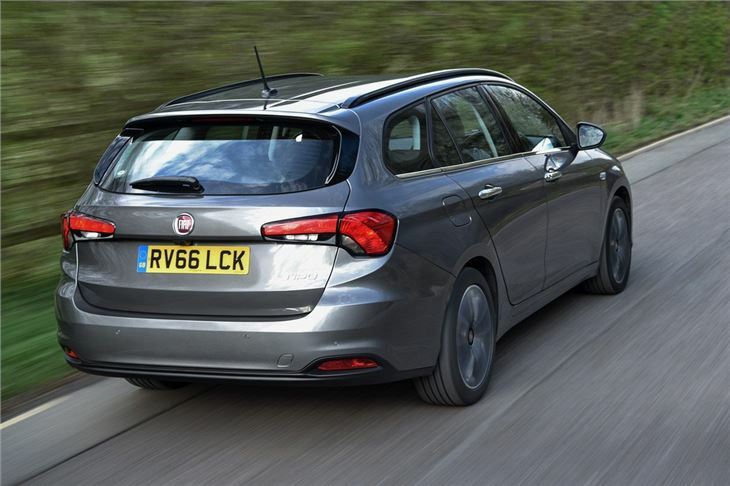 Engines mirror those in the hatch, with 1.3 and 1.6-litre MultiJet diesels, along with 1.4-litre and 1.6-litre petrols. 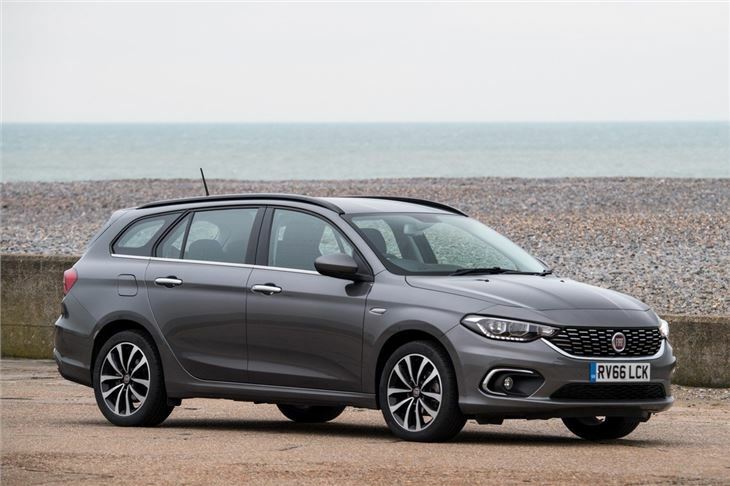 The pick of these is the 1.4-litre 120PS T-Jet petrol, since it provides a good blend of affordable pricing, reasonable fuel economy and useable everyday performance. 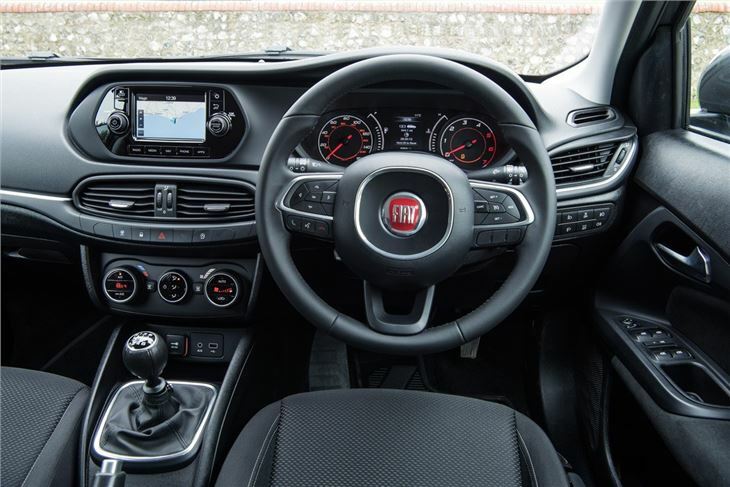 Basic Easy models come with DAB radio, Bluetooth, steering wheel-mounted audio controls and air conditioning, but we’d opt for Easy Plus. This adds alloy wheels and a touchscreen system, along with cruise control and parking sensors. The touchscreen is tiny at just five inches corner to corner, but it’s better than no touchscreen at all. There’s nothing outstanding or exciting about the Fiat Tipo Station Wagon, but equally there’s not a lot wrong with it. 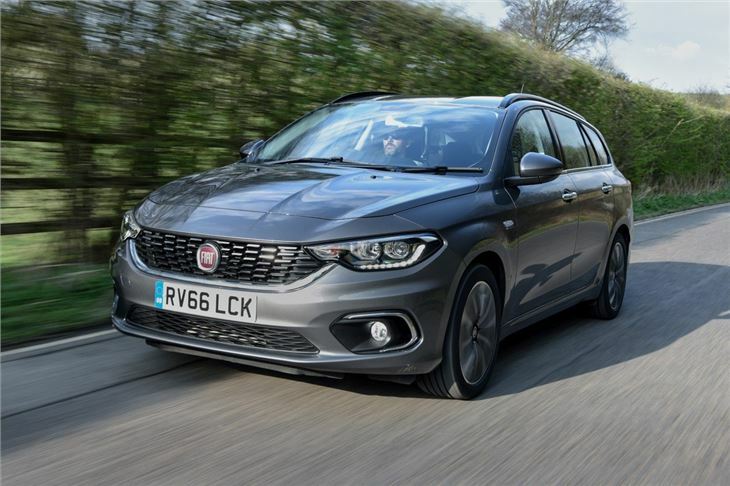 There is one issue that stands out most of all, though - the active safety tech comes in optional packs instead of as standard and without it the car only gets a three star safety rating. With one of the packs it gets four stars. That said, it’s practical enough for family life and comes with all the essentials.